You've heard the expression, "I feel your pain," but some people actually do, including a doctor in Boston who is able to connect with his patients in a way most can't. 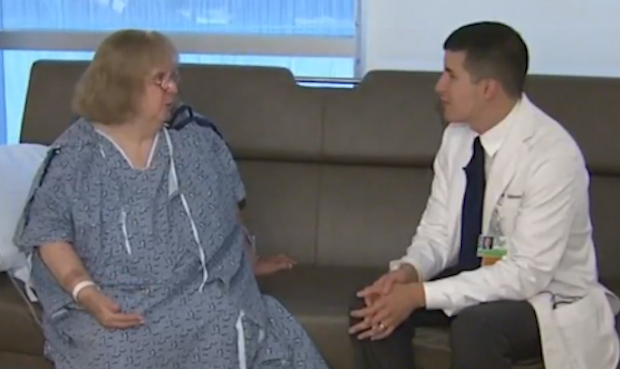 As CBS Boston's Dr. Mallika Marshall reports, Dr. Joel Salinas, a neurologist at Massachusetts General Hospital, has a rare condition called mirror-touch synesthesia. "When I see people, I have the sensation of whatever touches their body on my own body as well and it's kind of reflected as a mirror," Salinas explained. Salinas, like many with the condition, says he's been able to physically feel the pain of others since was a child, when he thought it was normal. "When I was a kid, having these experiences where if I would see someone hug I would feel the hug on myself or if I would see someone get hit, I felt the sensation on me as well," he said. The ability to experience several senses together creating a unique, compounded experience is referred to as synesthesia. It's believed to affect about one to two percent of the population. People with mirror-touch synesthesia may have a heightened sense of touch that overlaps with sight and/or hearing, triggering pronounced feelings of empathy. Even without the condition, people who see others in pain may activate the same body response that would be used if they were in pain themselves. "Mirror neurons" help people mimic and identify with what they see. Recent studies say that the mirroring reaction can be greatly heightened for those with mirror-touch synesthesia. Though researchers don't know exactly why, they have two main theories: people with mirror-touch synesthesia may have hyperactive mirror neurons that exaggerate the mimicking response, or they could possibly have difficulty distinguishing themselves from other people. For some who have the condition, the intense sense of empathy and physical adoption of pain can result in an overwhelming flood of emotions. "They're kind of crushed by those sensations because it's too much and it's overwhelming," Salinas said. "They develop issues with anxiety and depression and essentially become shut-ins at times." Salinas says he sees his mirror-touch synesthesia as an asset and he's learned to focus his thoughts and use the feelings in his practice. "I think it's empowered me to really connect with my patients. There's a wall that's torn down when you feel a lot of the sensations that your patients feel as well. It's like being aggressively put in somebody else's shoes."